Hoarding is a problem that plagues many people in the United States and if you have a family member or loved one who suffers from a hoarding disorder, it is important to approach the situation delicately. People who suffer from hoarding have a mental disorder and cleaning up a hoarder’s home can be a very difficult experience for them. If you are helping a loved one who suffers from a hoarding disorder clean out their home, keep the following tips in mind to help make the experience easier on both of you. Make a Connection: Try to put yourself in the hoarder’s position to better understand their mindset and emotions. Also, make sure to let them know that you will be there for them after the cleanup. Get Professional Help: There are many professional therapists who specialize in hoarding cases. 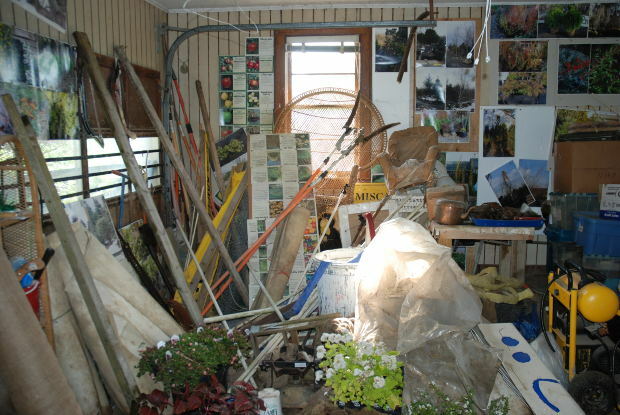 It is important for the hoarder to seek professional help to resolve the issue. Appeal to Safety: Many hoarders are concerned about the safety of their homes so by explaining the need to rearrange items as a safety concern, the hoarder may agree to the rearrangement. If this goes well, you can begin to discuss removing items. Empathy: To a hoarder, every item in their home no matter how insignificant is important to them and has an emotional attachment. You must be aware of this when helping a hoarder clean up. Confidentiality: Hoarders are aware to some extent that their behavior is not normal. In order for the hoarder to trust you, you must keep their disorder confidential and avoid discussing it with others without their knowledge or permission. Donate: One way to get a hoarder to cooperate with the cleanup is to let them know that if their items are donated, they will serve more of a purpose to someone who needs them as opposed to just sitting in the clutter. Patience: It is important to have patience with a hoarder as you help them come to the realization that they are living in sub-standard conditions. Helping them make this realization is half the battle. Hire a Professional: A good hoarding cleaning service provider will help you reorganize the home and save items of value which will help the hoarder cope with the cleanup. Do not make fun of the situation: Hoarding is a serious issue and mental disorder that should be taken seriously and everyone who helps with the cleanup effort must be sensitive to the feelings of the hoarder. Never get angry: Getting angry about the situation will not help anything and it will upset the hoarder and make them much less likely to participate in the cleanup. Do not touch anything at first: Some hoarders have certain items that they do not want other people to touch. Work with the hoarder to discover what you can touch and what will have to be dealt with later. Do no treat the hoarder like a child or a criminal: Even though hoarders suffer from a disorder, they are still adults that are just as deserving of respect as anyone else. Involving an authority organization in the cleanup effort can be detrimental as it adds to the anxiety and may make the hoarder feel as if they have committed a crime. It is best to try to work through the situation yourself with the hoarder as two adults. Do not give them a “To Do” list: Giving the hoarder a long to do list right away will overwhelm them. It is best to have them handle one task at a time such as finding a place to put their hoarded items before moving on to cleaning and removing items. Do not get stressed out: It is important for you to avoid getting stressed out by the situation because hoarding is typically the result of a traumatic situation and if you allow yourself to get stressed, you could add to the anxiety of the hoarder. Work together with the hoarder to create a livable condition for them and check on them periodically to help them keep the hoarding under control. By remembering these steps, you can help a family member or loved of yours who suffers from a hoarding disorder clean up their home for a more suitable living condition. If the hoard has grown to the point where professional cleaning services are necessary, contact a hoarder cleanup specialist such as RestorationMaster in California for assistance. Previous story What Is the Right Edge for Your Granite Countertop? Its not the material hoarders I get upset at,its the animal ones. Hoarding 80 dogs,cats or birds is just good old fashioned animal abuse. But I do like your guidelines!